Tough luck, guys. But impressive that you got so far. My Red Stockings lost their Gold division series in 5 games, with Cy Young losing the final decision in a tight, one-run game. I don’t know if I’ll advance to Diamond or not. My New Haven Red Sox had a good season, several games over .500, but still missed their Silver League playoffs. Special recognition to Sean Doolittle, who didn’t win any awards but went 11.1 scoreless innings in the postseason. Cedar Rapids managed to stay in gold this season, but it was close. Texarkana is leaving diamond and heading down to gold after 10+ seasons I need to spend some time reworking the team. Some people need to go, like Roger Maris record breaker. Dude can knock it out of the park, but his best season he has hit maybe at a 220 average. If he was hitting 50 hr I might overlook it, but he at best makes it to low 30s. Defensive efficiency has also dropped off a cliff, and pitching is hurting even though Pedro Martinez and Dizzy Dean are usually among the k leaders. How do you guys generate those awesome logos? I’m seeing a lot of really nice custom logos and it makes me want something nice and customized too. Charlatan I can make you a logo if you have an idea of what you want. I have templates for them. Congrats to @LockerK on the championship and to all the contenders. My silver team lost in the division series and was promoted to gold nonetheless. So my two teams are now both gold – g301 and g303. Anyone else in those? My Argonauts are in g301. I’m not especially looking forward to that—they’re barely playoff contenders in silver. My packs-only Springfield Isotopes managed to lose early enough in the playoffs to stay in Bronze another year, which is good from a career win-loss padding perspective. @Fishbreath, my Boston Red Stockings are also in g301. I think the Librarians are there with us as well. My New Haven Red Sox are in s319 (or 317?). The Alan Wiggins Project and the Galena Cubes are there too; both Qt3, yes? With Texarkana heading back down to gold and the Cigar City Lagers getting promoted, does that leave the Kraken as the only Diamond team left now? Akron should be in Diamond this year, though who knows for how long. I don’t understand how they can do such an absolute trash job at dealing with super obvious roster things. 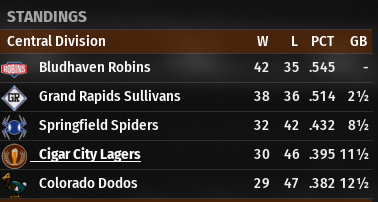 I switched my team to have a 3 pitcher rotation for the playoffs. After the playoffs it switched me to a 5 pitcher rotation but didn’t fill the 2 slots despite me 5 SP rostered. So I didn’t get any points all day because the game turned my valid roster invalid. How is this the best that they handle this. If they invalidate my roster switching the rotation they can’t manage to automatically trigger the AI SP rotation? I want to like the game but it feels like a product where no one at the company actually plays it like a normal user. I’m sorry to hear that. You’re right, the game should automatically fill all five slots. I guess the workaround is to make sure to log in after the playoffs but before the new week? I’m curious, though – why a 3-man rotation during the playoffs? My starters seem to need the 4 days’ rest during the playoffs. Switched it for the last few games of the WS. Sure that I could have set my rotation another way but it seemed like a quick way to do it. Geezus. Diamond is going to be a one and done for me, but with 20 out and finally getting a WS win I was kind of done anyway. Currently 13-28 and 5GB from not-relegation. e: Spent my last hurrah of points on 10 packs and pulled 2 Diamond players… but one of them (Jose Ramirez) was a duplicate. Impressive when I’ve only pulled 4 Diamond players total! I did the same thing, spent 10K I had saved on points. 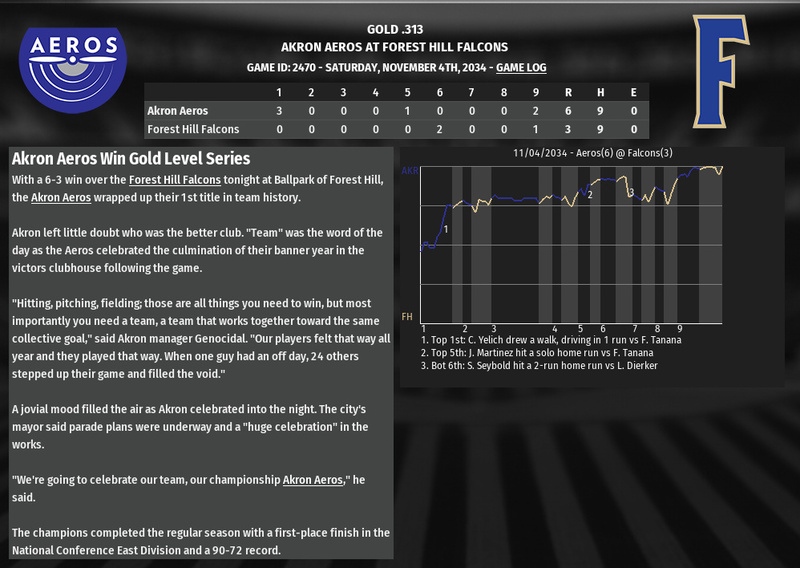 I got 1 gold player, Adrian Beltre, that sells for around 1100, got nothing else of value really. I’m spending most of my time in 20 right now, but in 19, my teams are kind of struggling in Perfect. One is holding its own, within shouting distance of .500. The other is going to struggle to avoid relegation. Not sure if this was ever answered, but I was browsing the thread and figured I’d respond anyway. Henderson took advantage of strikezone size rules. If you watch him at bat, you’ll notice he minimized the distance between the shoulders and knees to an almost comical degree. Doing so made it harder for pitchers to throw strikes and generated significant walks. Finally pulled a perfect card. Wish it would have been the (top war or legend) Maddux card instead of a live Mookie Betts. Hmmm, I wonder if I need to sell it off now to get the points for it being perfect. Texarkana are leading their division, and with the addition of Betts and Aron Nola they should hopefully close out the season well. Cedar Rapids are a couple games under .500 and way out of the chase in their division. Seems like the AH is way down as far as the number of players available since 20 came out. Makes me wonder if buying packs is the way to spend points right now. I wonder how the active manager numbers have changed since 20 came out. Betts is a great card. The Lagers have him and he’s been great for us. I’d say keep him.